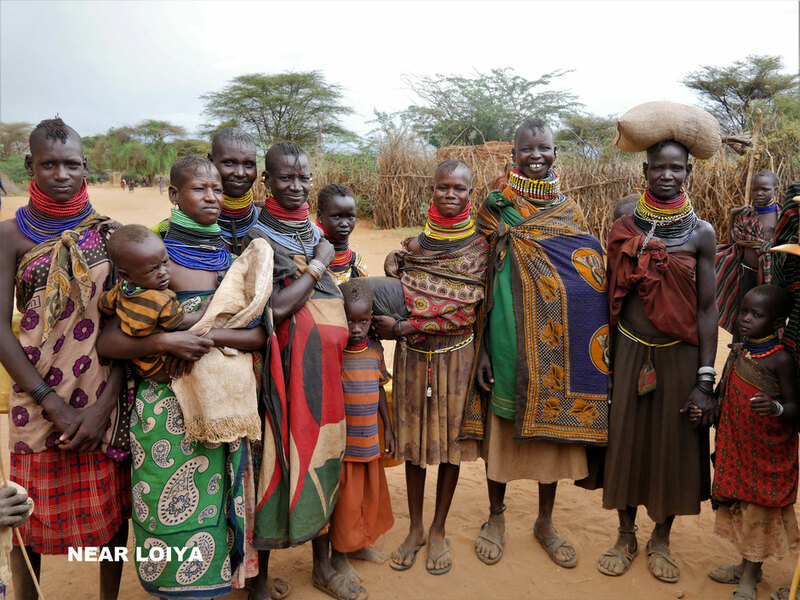 Moroto in northern Uganda is just over 200 kilometers from Lake Turkana due west. On the way we would have to go to the customs office in Lodwar again, have our carnet stamped and then it would be time to say bye bye Kenya. The customs officer recognized us as we approached his desk. We had been there a month ago as we entered the country. He was now quite familiar with the procedure, proudly gave his approval and with a wide smile boldly signed. He hoped that we had enjoyed our stay. Indeed we had and hoped to come back again very soon. That being sorted we strengthened ourselves for the trip at the chip shop, filled both tanks, the jerry cans and set off. As there is no immigration office in Lodwar, and knowing there wouldn't be one at the green border we decided not to bother about an exit stamp in our passports, Once we were out it probably wouldn't be of any interest to anyone, certainly not the Ugandans, and the prospect of driving to Eldoret again, or to Lokichoggio solely to that purpose was too much for the both of us. At worst we would only be turned back. The dirt road wasn't too bad per se, quite sandy in places, especially the river crossing at Lorugumu, which we just about managed without getting stuck by using low range, but as the hours passed, finding it was the problem. Once again we were lost and couldn't commnicate with the locals. They would at best point either up or down the road and the next group we spoke to would point to where we had come from. We passed Kakadodogo, knew we were heading southwest and hoped to find Lokitanyala and cross at Loro. Thinking that one green border is the same as another. 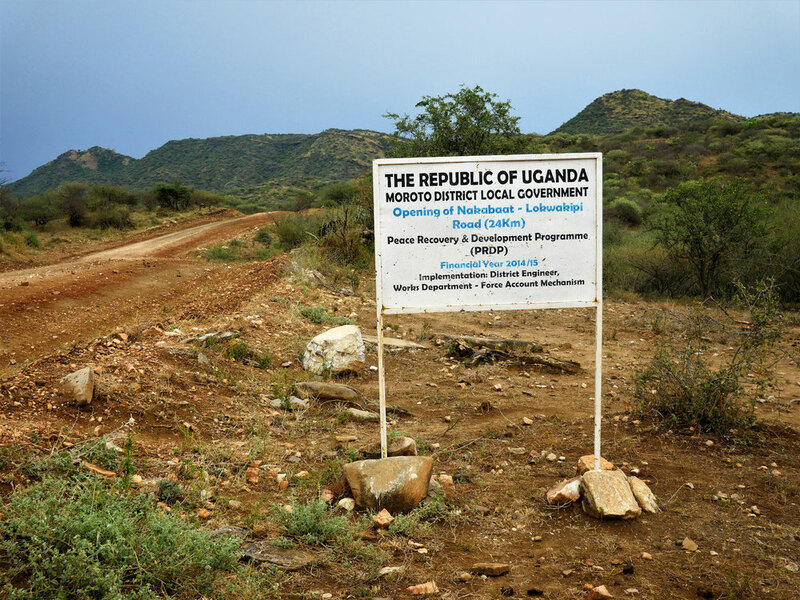 We would probably have to drive to Moroto anyway to have the formalities done irrespective which crossing we use. 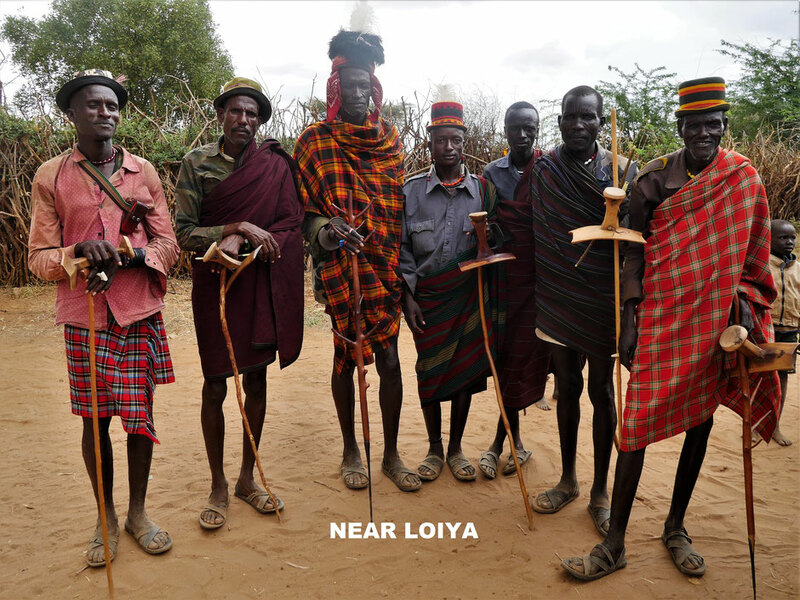 We ended up in Loiya, a dead end and had to turn back to the north east. At last the road turned to the west, improved and we found Lokiriama, allthough we didn't know it at the time. There was a police checkpoint here. We were happy to see them. Now we knew that we were back on course and were not sent back. A few miles later we stopped at a roadworks sign for a photo. We had arrived in Uganda. Sure enough, not long after the road sign the Ugandan checkpoint was reached. We were registered and 5 minutes later allowed to pass. We didn't even have to get out of the van. The Kenyan and the Ugandan border crossing had been completely free of charge. At dusk, once again, just in time, we drove into Moroto.